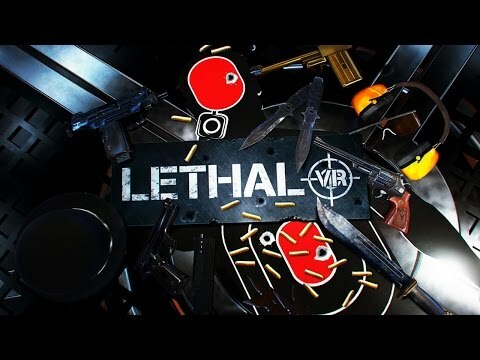 Download game Lethal VR right now! Notice : Activation key must be used on a valid Steam account, requires internet connection. The game is VR compatible with a virtual reality headset HTC Vive. Quick Draw – Draw your weapon and fire! Successful candidates will need to demonstrate both speed and accuracy! Knife Throw – Prove your skills in the ancient art of knife throwing. How many Bullseyes can you hit? Bonus Points will be awarded for multiple Bullseye chains. Skilled candidates can score multiple hits on each Target. Sharpshooter – Put your firearm skills to the test in our specially designed VR Weapons Range. Bonus Points will be awarded for Speed Shots, Bullseyes and chaining Headshots together. Rapid Fire – With a Weapon in each hand, how quickly can you destroy all of the Targets? Master the skills of Rapid Fire and Rapid Reloading. Watch for Penalty or Civilian Targets that may block your line of fire. Urban – Practise your urban combat skills in our simulation version of Hogan’s Alley. Immersive Virtual Reality weapons experience.